Superhero Profiles: starting with Aquaman. If you like it, check out his shop, lots of Aquaman fun there. Peter David on Writing Aquaman. Originally published September 21, 2001, in Comics Buyer's Guide #1453. Dan Jurgens on Aquaman and the Others. A review of Justice League: Throne of Atlantis. The urge to smack Dave for this Sheldon strip is mildly overwhelming. Bleeding Cool made a prediction back in February about another Aquaman spinoff... let's see if it happens? 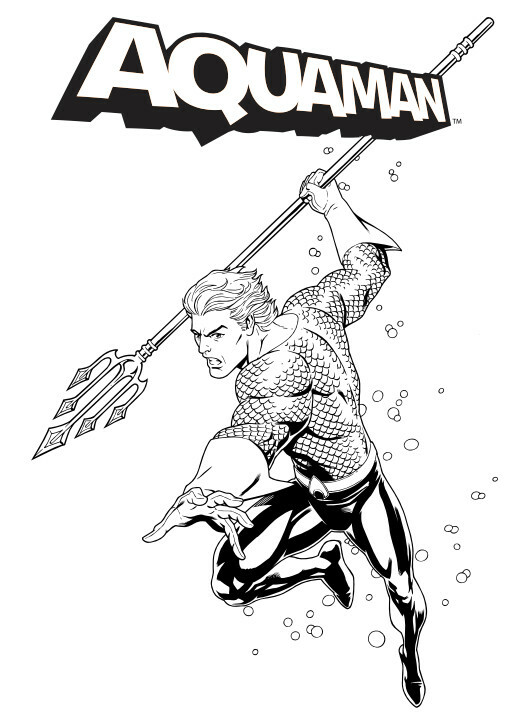 DC provides Aquaman coloring pages for younger Aqua-fans. I like that there are really four different versions of Aquaman in the one file. Wow.